W. Green, AFL Pres., calls selling of goods produced with convict labor “industrial piracy”, says adding to burden of nations 3.7M unemployed. Farm representatives after meeting with Pres. Hoover say approve of his relief program, will cooperate in every way. Cotton picking wage reduced to $0.65-$0.75 per 100 pounds from $1.00-$1.25 average of past several years, due to low cotton prices. F. Lisman, writing in Railway Age, says long-term prospects for rails poor, calls for joint action to tackle difficult problems including competition from trucks and buses, reducing waste, ruinous competition. Calls for “rate czar” to control freight rates. Stocks staged a sensational late rally attributed to “wild covering movement” by over extended shorts. Pessimism over drought affects on business had induced “perhaps the largest” short interest in history. Bears made some further attempts early, particularly against coppers. News of heavy rains in drought areas caused a short covering movement, at first cautious but turning into a rout in late afternoon. “Spectacular uprushes” in stocks under recent pressure including US Steel, J.I. Case, Vanadium; general market rose aggressively. Bond market dull; corp. and preferreds up, foreign govts. mixed, US govt. steady. Bears also possibly unnerved by recent decline in brokers' loans, and report that Roger W. Babson (economist, made good bearish call in fall 1929) was preparing to issue statement to clients stating that “the time to buy representative stocks had arrived.” Some investment buying by “banking interests” also seen. Market sentiment “somewhat improved” though conservative observers still cautious; advise against buying until leading stocks break through resistance levels on higher volume; also advise against short-selling, and advise clients to cover all outstanding short positions. July exports were $269M, lowest since Feb. 1922 and down 33% from 1929; imports were $219M, lowest since Apr. 1922 and down 38% from 1929. US Bureau of Labor reports employment dropped 2.6% from June to July; employee's earnings down 7.1%. Employment in manufacturing down 4.6% in July and 16.6% in year ended July. F.W. Dodge report new construction contracts in 37 states east of Rockies Aug. 1-8 were $13.538M/day vs. $14.136M in July and $18.803M in Aug. 1929. 44 life insurance companies report July new insurance was $1.092B vs. $1.094B in 1929; first 7 months was $7.749B vs. $7.634B in 1929. New Jersey legislature to meet in special session on relief of 32 municipalities over their bond limit. Companies reporting decent earnings: Hudson & Manhattan Railroad, Duplan Silk, Mexican Seaboard Oil. White Rock (mineral water and soda) selling about 45, annual dividend $4, earned $4.42/share in 1929 and $2.38/share in first half. Warner Bros. suffering from slowdown in movie business attributed to wearing off of talkie novelty, heat wave, depression, and bad movies. Dividend omitted. General Foods says has saved “American housewives” over $10M by cutting prices, recent cuts will save even more. Brands with prices cut include Maxwell House, Log Cabin Syrup, Hellman's Mayonnaise, Swans Down Cake Flour. Don't intend to raise prices due to drought. Editorial: Farm Board should grind up and sell its wheat surplus as feed; this would provide feed needed due to drought at reasonable cost, get rid of the “embarassment” of the surplus, and probably help the wheat market by removing the overhang of a large surplus under one party's control. Mexican govt. officials deny reports from NY and Washington of new plan to be substituted for recent Lamont-Montes de Oca debt settlement. Commodities mixed, rally late. Cotton traded down sharply, but rallied in last half hour on short covering influenced by stock advance, closed down moderately. Grains close up after late rally. Copper buying down as further declines expected. Stocks with large short interest include American Can, US Steel, Warner Bros., Southern Railway, GM, J.I. Case. J.H. Oliphant & Co.: govt. estimate of crop damage may be too high; would be considered bullish for stocks due to improved farm purchasing power. Manchester cotton market further depressed by better than expected US crop forecast, continued weak demand abroad. Shippers complaining bitterly over government's failure to control picketing at Bombay and Calcutta, where it's known some goods are wanted. Mill consumption of cotton in July was 378,835 running bales vs. 405,181 in June and 547,165 in July 1929. Cotton goods production in July was 27% below 1929; sales were 108.6% of production. World wheat surplus (carrover) on July 1 was 447M bushels, down 100M from 1929. Railroad Commission orders Texas oil production restricted to 750,000 barrels/day vs. current 830,000. Newly formed nitrate cartel agrees on measures including “marked cutting of production, stabilization of prices, promotion of consumption, and regulation of distribution.” US manufacturers unable to join due to antitrust laws. Dept. of Agriculture estimates fruit crop 18% over short 1929 crop, but 10% below 10 year average. Most fruit grown outside drought areas. Major J. Clark, Jr. named to hold public hearings investigating whether food dealers are conspiring to profiteer from the drought. Class 1 railroad total employees as of mid-June were 1.564M vs. 1.601M in mid-May, largest decrease since start of current depression. July production of newsprint in US and Canada was at 71.8% of capacity vs. 75.2% in June and 81.9% in July 1929. Standard Oil NJ reported to have offered Spain $100M loan in exchange for oil monopoly; Spanish officials deny knowledge. Sears, Roebuck sales for 4 weeks ended Aug. 13 were $25.344M, down 8.7% from 1929, but improved from 14.9% decline previous 4 weeks. Decline in year to Aug. 13 was 5.4%. Number of stores almost same as 1929. Northern Pacific Railway considered stronger than indicated by financial statements; some important fully or partly owned companies only appear on balance sheet as securities owned, often carried at very low prices; income statement only reflects dividends received. New Ford Motor plant in Buffalo to have capacity of 400 cars and trucks/day vs. 225 for current plant; to employ 2,500 workers. Mexican Pres. Rubio signs decree distributing state-owned haciendas (estates) to small holders. Considered step in providing land for all workers, expected that future expropriation of foreign-owned land will be reduced. Detroit population April 1 was 1,573,985, increase of 580,307 since 1920. Captain F. Hawks crosses US from Los Angeles to Valley Stream in 12 hrs. 25 min. 3 sec., 2 hrs. 20 min. under Lindbergh's old record. CBS and NBC seek licenses to build plants for television experiments. Yesterday's rally continued to some extent, but volume dried up as prices increased. Some signs of overcrowded short trades; sharp rallies in favorite short targets including J.I. Case and American Can. Gradual upturn in majors including US Steel, Westinghouse, Consolidated Gas, other issues under recent pressure. Some weak spots including coppers, Republic Steel. Prices irregular in afternoon with many stocks declining from highs, but majors maintained “good undertone.” Bond market dull but generally firm; corp. higher, particularly high-grade and rails; Dow 40 bond avg. at new 1930 high; govts. dull, steady. Col. L. Ayres of Cleveland Trust sees almost certain economic improvement from July to August and September; based on historical patterns and comparisons to earlier depressions (1907-08, 1920-21). However, recovery does “not promise to be emphatic,” and some possibility of “attack of gloom” in business sentiment before the improvement becomes apparent. Conservative observers still advise reducing positions on rallies and not buying except “on a scale” (gradually) on pronounced weakness. Bears expected to mount another test when recently attracted “weak short interest,” including outsiders selling short, has been eliminated. Bulls encouraged by bears' inability to break down to Nov. low of 198.69 in June break, and to break down to June low of 211.84 in past week. “Powerful interests” seen willing to buy in 210-220 range, as reflected in support there. Editorial: J. Mooney, Pres. GM Export Co., predicts increase in automotive exports. This seems likely; an increase would be dictated by two conditions, the cost of production and foreign purchasing power. The first is clearly favorable; US has lower cost of production than any other country. Cars are both a desire and a real need, furnishing cheap and fast transportation. Purchasing power is temporarily down, but “the most bilious of pessimists” admits this will eventually turn around. Prominent trader notes that where in 1929 he was eagerly buying stocks at 20-40 times earnings, he now is reluctant to buy stocks at under 10 times earnings. Brokers' loans down $59M to $3.155B vs. $5.952B in 1929; lowest point since July 1927. Peak was $6.804B on Oct. 2, 1929. US electricity output for week ended Aug. 9 was 1.698GWHr vs. 1.705GWHr in 1929. Many investment trusts (similar to mutual funds) selling at large discounts (as high as 55%) to liquidating or net asset values. To rebuild confidence, many investment trusts have begun to publish more information on holdings and activities. Companies reporting decent earnings: American Safety Razor, International Paper & Power, Hackensack Water Co.
Vanadium Corp. to open new plant for large body of nelsonite ore. Nelsonite is combination of ilmenite (base for titanium products) and apatite (base for phosphate salts). Authorities in paint field maintain titanium dioxide superior to white lead in many ways; Vanadium should be able to sell it at competitive price. Suspense, a war play by Patrick MacGill. A group of British soldiers are stationed in a quiet dugout on Western Front. Reason for quiet becomes apparent as they hear German soldiers laying a mine that may go off at any moment. Next two acts are “consumed with waiting, relieved only by a young private becoming hysterical, a seasoned soldier indulging in uncontrollable profanity, ... and the whole group now and then breaking into song. The most ludicrous moment comes when the men sing 'Sweet and Low. '” Men are relieved by another company in third act, hear the mine go off, then are ordered back to the front. Pres. Hoover asked governors of drought-affected states attending conference at White House for reports and suggestions for relief measures. Governors mostly ask for credit to be provided for buying feed and moving it to affected areas. Railroads to implement half-normal rates on drought relief traffic. Ohio suggests federal cooperation to provide work for farmers idled by drought. Editorial: Changing China to gold standard from silver may be impractical for a long time due to chaotic political conditions and practical considerations. Model child labor act recommended to state legislatures for approval - forbids employment under 14, requires permit for 14-18 year olds. NY City Board of Education adopts record 1931 budget of $141.3M, up $4.9M over 1930. World's deepest 5 oil wells are in Big Lake field in Texas, range from 8,220 to 8,816 feet. Commodities mixed. Grains generally up after wide fluctuation. Cotton again down to new season lows, Oct. contract at 11.77 cents, down .16. Some producers sell copper below 11 cents/pound. Break below 230-240 trading range last week seen as indicating downtrend of “indeterminate proportions.” Optimists say downturn just represented a delay of business improvement caused by drought, and uptrend may resume in next few weeks. Support at the 210 level still considered encouraging. Also, market is showing typical pattern of bear-market end, including narrower swings and declining volume. “Leading automobile executive” sees numerous recent auto price cuts as temporary; not likely to last due to low profit margins and inventories. Price cuts seen as being used to maintain low inventories in face of disappointing sales in recent weeks, also to clear out old models before new introductions. Packers concerned about possible rush of “unfinished” hogs and cattle to market due to feed and water shortage caused by drought. Preliminary estimate of unemployment based on census: a little over 2.5M unemployed, out of total population of 122.7M and working population about 48M. Largest banks by deposits in US: Chase Nat'l. $2.065B; Natl. City Bank $1.560B; Guaranty Trust $1.379B; Continental Ill. $908M. July rubber consumption by US manufacturers was 29,894 long tons vs. 41,526 in 1929. July portland cement shipped was 20.147M barrels, down 0.8% from 1929. Dow average price of 8 important iron and steel products was down 28 cents/gross ton in past week to $45.80. Low for 1929 was $49.88, high $51.25. July construction contracts awarded in New England were $31.242M vs. $38.089M in June and $42.623M in July 1929. Chrysler Corp. Q2 net $0.73/share vs. $0.04 in Q1 and $2.07 in Q2 1929. Mead-Johnson (baby food) selling about 80, annual dividend $3, first half earnings over $5 vs. $7.03 in full year 1929. General Foods selling about 52, annual dividend $3, first half earnings $2.01/share vs. $1.89 in 1929. Chile President approves prohibition law under which 6-time violaters will have pay docked 50% by employer and turned over to wife or family. Governors of drought-affected states to meet with Pres. Hoover at White House to consider relief measures; Hoover has gathered “complete data” on situation. Red Cross says ready for immediate relief work. Congressman LaGuardia (Rep., NY) calls for daily bulletins on vegetable prices entering NY to detect profiteering. NY Stock Exchange to support new high-speed ticker system starting Sept. 2; will operate at 500 characters/minute vs. current 300. Current bill at the Palace is a true “all-star variety program,” including George Jessel as headliner, Bill “Bojangles” Robinson, and Burns and Allen, among others. Bears continued aggressive operations early, following up on Tuesday's sharp declines. Some liquidation seen from margin accounts. Majors and trading favorites hit new lows for current reaction. Some resistance to bears developed through morning, although bears renewed attacks on news of decline in steel production to 52% from 54% a week ago. However, a vigorous rally developed in final hour on strengthened “technical conditions” and possibly overcrowded short positions, with sharp rebounds in US Steel, American Can, J.I. Case, and leading rails; rally spread across general market. Bonds dull, steady; corp. slightly higher. Dow last Tuesday was only 6 points above June 24 low, causing pessimism among traders and making further bear attempts at that level likely. Next week's action considered indicator of business sentiment; if businessmen foresee improvement, should be willing to support their own shares around June lows. General market was irregular; many stocks closed with losses or small gains. Market made 3 new yearly highs and 61 new lows. One broker points out that “refrigerated” floor of the stock exchange could make overcoats desirable on very low-volume days. More attention to possible dividend cuts seen than ever before; businesses being analyzed carefully, many stocks have declined due to concern about cuts. Dept. of Labor reports cost of living down 2.1% between June 1929 and 1930; down 23% between June 1920 and 1930. French cabinet votes to cut 1931 budget by 6B francs to 51B, same as 1930; 48% of which is debt service. British trade improved in July vs. June, still below 1929. Imports 85.2M pounds vs. 83.4M June and 93.6M in 1929; exports 50.7M vs. 42.9M and 65.5M. Companies reporting decent earnings: Jersey Central Power & Light, US Gypsum, Weston Electrical Instrument. General Foods says not considering any wage reductions, business running about normal. Hudson Motor Car cuts car prices $65 to $300 to lowest prices ever of $650 to $1,295. “Professor (in engineering class) - What's a dry dock? Student - A physician who won't give out prescriptions. Editorial: Air transport between US and Europe is slow in developing. Govt. should help by developing agreed international regulations to facilitate transport of people and freight similar to marine transport; this would help trade and travel. Subsidies not favored by US citizens, but reasonable mail contracts would help. Electricity companies handling drought better than earlier ones due to better planning of hydropower, and system interconnections allowing exchange of power. Companies of the Niagara Hudson system (NY State utility) have planted 21.5M trees, plan additional 5M this year, mostly in Adirondacks. Trees reduce flooding of watershed land in spring, improving performance of hydropower. NY City demands electricity rate of 4 cents/KWHr instead of utility-proposed 5 cents, and no monthly service charge. US Chewing gum industry began as attempt to make artificial rubber from gum of the sapodilla tree. 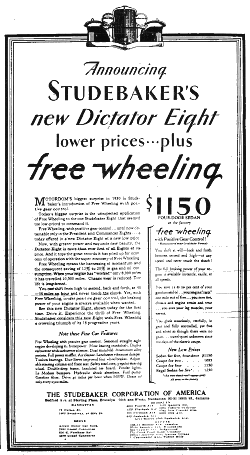 Product found better for chewing than tires; 1927 sales were over $62M. Commodities generally lower; grains down sharply on some improvement in drought areas; cotton down to new season low, at lowest price since 1926; rubber down to new record low. Conservative observers recommended taking profits on yesterday's rally and on any further recovery this morning. Lawrence Stern & Co. report monthly survey of financial institutions anticipates good bond market and “slight but definite improvement” in general business conditions. Corporate bonds have been strong, but selective for high end issues; Dow average of 40 corp. bonds is 96.37, highest since Dec. 1928. Decline in steel production blamed on drought; with extent of crop damage still uncertain, industries dependent on farm purchasing are curtailing steel buying. These include low cost autos, farm machinery, can companies. Structural steel remains strong. Some price declines seen in steel and iron products; steel down to lowest price since 1922. Mail order stocks declining on fears drought damage will reduce business from farm states. Rail freight loadings were down 16.9% for week ended Aug. 2, worst decline this year. However, this may not yet reflect reopened factories; Aug. 9 report is awaited with interest. Refineries were operating at 69.1% of capacity last week, lowest level since weekly reports began in June 1929. Synthetic nitrate producers reach agreement; German industry expects it's first step to forming cartel to bring production in line with consumption, but initial agreement considered unsatisfactory due to short duration and lack of commitments to reduce production. US customs collections for first 9 days of Aug. were $9.988M vs. $16.281M in 1929. Cotton fabrics imported in first 5 months were 16.3M sq. yards vs. 22.1M in 1929. CIT Corp. volume of auto financing in first half was down 21.8% from 1929, but financing of industrial equipment was up. Collections remained satisfactory in spite of depression, though charge-offs were “somewhat above normal.” Reserves for losses June 30 were 1.86% of receivables vs. 1.83% in 1929. NY City Mayor Walker's advisers continue to meet on city takeover of BMT (transit). Price seen likely to be $200M rather than $270M asked by BMT. British govt. committee preparing for imperial conference considering 10% general tariff with rebate for dominions (member of empire). Cost of keeping NY City clean estimated at $50M for 1931 fiscal year vs. $34.1M for current year. In year ended June 30, 12M cars crossed international borders of US. About 25,000 miniature golf courses in US, representing investment of $125M. Market fluctuated narrowly on low volume for first 4 hours, but broke in final hour. Early bear efforts followed Dept. of Agriculture's grim drought damage estimates as of Aug 1. Some rallying based on late-morning forecasts for extensive showers in grain country, and news of some improvement in steel production. However, aggressive bear efforts and declines resumed in final hour; general market under heavy pressure at close, many stocks closed at lows. US Steel, other majors closed at new lows for current reaction. Utilities, banks and trusts weak. Bond market dull, irregular; govts., high grade steady, preferreds slightly up. There were 2 new yearly highs and 57 new lows. Some major industrials' declines from a year ago today: Allied Chemical 333 3/4 to 244; American Can 170 1/2 to 113 3/4; AT&T 284 7/8 to 203 1/2; Consolidated Gas 171 3/4 to 101 1/2; GM 70 3/4 to 42 1/2; US Steel 245 to 156 5/8. Bad earnings are expected for third quarter, based upon expected delay of general business recovery to mid-Sept. or Oct. This may have been at least partly discounted in current market prices. Rail car loadings for week ended Aug. 2 were 918,335 cars, down 1,014 from previous week, down 16.9% from 1929, and 12.4% from 1928. NY State Industrial Commissioner Frances Perkins reports factory employment decreased 4% between mid-June and mid-July, much worse than usual seasonal decline of 1%. Index has declined to 83.3 from 100.4 in October 1929, lowest point since the index was started in June 1914. Fed. Reserve members report for week ended Aug. 6 “all other” (commercial) loans down $57M, reverse of usual seasonal pattern. Deposits down $173M. Companies reporting decent earnings: Mead-Johnson (baby and diet foods), Standard Cap & Seal, Pittsburgh & Lake Erie Railroad [against general trend]. Heads of large steel companies, including US Steel and Bethlehem, come out against wage cuts reportedly discussed by smaller steel companies on grounds that they would slow business recovery. Canada now has 17 air mail lines covering 6,215 miles extending 300 miles beyond the Arctic Circle, including Alkavik, northernmost point of any air mail service. Mexico may adopt version of Young plan [for German debt] in which foreign and internal debts totalling over $1B would be funded through single “gigantic banking agreement,” following “a general financial rehabilitation program to be put into effect by the Mexican government.” Not known what effect this would have on last month's renegotiation of about $500M of Mexican bond debt. Commodities generally lower. Wheat sharply lower. Corn swung widely but closed down only moderately. Cotton down to new season lows following poor demand figures. Rubber down to new low of 9.65 cents. Corn situation considered extreme; Agriculture Dept. forecast as of Aug 1 is for 2.2B bushel crop vs. July 1 forecast of 2.8B and 5-year average of 2.7B. Considering lack of rain since Aug. 1, crop may come in around 2B; together with carryover of 300M, total available would be just 2.3B. Wheat crop will probably be larger than 1929; cotton still up in the air. Agriculture Dept. predicts full wheat surplus from this and past years will be needed for feed and human consumption. Effect on farm income uncertain; large scale shift of wealth between farm areas possible. Stock market action was characteristic of “culminating stages of a major decline.” Bears switched from group to group, including grain railways, mail order stocks, coppers, trying to find weak points for further declines. Conservative observers still recommend reducing any long positions on rallies, and remaining on sidelines until a definite trend reversal is seen. Wages paid by 162 class 1 rails in May were $229.6M to 1.601M employees, vs. $225.8M to 1.573M in April and $250.7M to 1.714M in May 1929. First in railroad fuel economy was the Chesapeake and Ohio, using 84 pounds of coal/1000 gross tons hauled 1 mile. Second was Pere Marquette, using 100. Steel ingot production industry-wide was at 56% past week vs. 58% previous week and 57.5% two weeks before; US Steel was at a little under 63%, starting the week at 64%, dipping to 61% midweek, and increasing slightly toward end of week. Activity corresponding week in 1929 was at 93%. Auto production as a whole estimated running slightly under level from before July shutdowns; companies with new models operating at higher level. Any increase in end demand expected to be transmitted immediately to increased production, demand for raw materials and parts, due to very low inventories. National Industrial Conf. Bd. reports farm wages increased 67% from 1914 to 1929, vs. 125% for industrial wages. Gasoline in storage at refineries last week was 42.729M barrels, down 1.371M from previous week, vs. 34.021M corresponding week in 1929, but lowest point of the year so far. Crude oil production was 2.480M barrels/day, down 34,950 from previous week and 415,650 from 1929.
International Match [Kreuger-associated] to buy $30M German bonds as part of $125M 50-year maturity 6% loan to Germany in exchange for rights to most of German match industry. No new financing needed; proceeds of French redemption of previous $75M loan used. Charles J. Correl and Freeman Gosden, AKA “Amos 'n Andy,” NBC radio stars, sign 5-year sponsorship contract with Pepsodent Co. (toothpaste) ; will make them highest-paid radio entertainers ever. Editorial: If Congress is to be reapportioned by results of the census, would result in large increase in political power for West and small one for industrial East, at expense of South and “habitually insurgent” Midwest; uncertain if Congress will do this or exercise its option to ignore the census results as it did in 1920. In past 5 years, Bell telephone system wire mileage increased from 39.9M to 68M; workers from 280,000 to 365,000; calls daily from 45.8M to 63M. Waldorf-Astoria orders phone system from NY Telephone capable of handling 10M-12M calls annually. “Refrigerated” movie theaters have been doing good business in the heat wave; one theatergoer told manager it was his first good sleep in 3 days. Bears continued operations to start the week, attacking US Steel, other major industrials, and utilities. Volume dried up on declines; some buying came in after cooler weather and forecast of some rains in drought areas. Fairly vigorous rally developed late; US Steel, Vanadium, Consolidated Gas rebounded sharply. Utilities weak; banks and trusts mixed. Bond market very dull and irregular; govts. and high-grade corp. steady. Short interest has increased considerably in past week, drawing in some outside sellers in addition to the usual professional bear traders. Resistance to decline taken as encouraging; sign that overly margined accounts and forced liquidation are no longer helping bears, as in previous breaks. Prospect of business improvement is also better due to seasonal factors. Also encouraging that market advanced in spite of higher call money rate. Next week's market movements considered very significant; break below 211.84 June bottom not expected and would be discouraging. Up to this point, market resembles that of 1920-21, including break in May/June, rally from end of June into July, range-bound trading for about a month, and further break in August. June resistance level held; this also marked bottom of business conditions and laid the ground for the great 1920's bull market. Chain stores, grocery stores, and restaurants generally had a poor July, including Sears, Ward, Woolworth, Kresge, Safeway, National Tea, Childs. Biggest decline in sales was Sears, 14.9%, most declines in single-digit percentages; few companies showed gains. Commerce Dept. reports economic conditions in Latin America generally worsened in 1929; attributed to high money rates, low commodity prices. Yields on South American bonds range from 6% for highest rated bonds (Argentina, Uruguay), to over 9% for lowest rated (Bolivia). Brokers' loans on Aug. 1 were 5.49% of total market value of listed shares vs. 5.83% on July 1 and 8.87% on Aug 1, 1929. Value of loans was $3.689B vs. $3.728B and $7.473B. “All other” (commercial) loans at Fed. Reserve member banks down $57M in week ended Aug. 6, demand deposits down $134M. Call money was up to 2.5% in spite of decline in brokers' loans; taken as possibly bullish sign of increased credit demand. New York produce merchants estimate prices will go up 25%-100% this week due to drought damage. Companies reporting decent earnings: Melville Shoe, National Electric Power Co., Equitable Office Bldg., American Bank Note (stock/bond certificates). Traveler's Insurance Co. estimates number of deaths in US auto accidents for first 7 months was 16,500 vs. 15,400 in 1929. Soviet Union orders 5 of world's largest hydroelectric generators from GE; orders $40.5M of agricultural machinery for collective and state farms. Commodities mostly down: corn up, other grains down; cotton down slightly, touching new season lows; rubber down to new record lows at 9.70 cents; cocoa hits record low at 7.13 cents. Paine, Webber considers the 241 level significant, being a 50% recovery of the loss from May 29 top to June 24 bottom. This would normally be limit of a bear market rally; if market moves above it, would indicate fundamental recovery and end of bear market. Whether business is on the verge of fundamental recovery is, however, unclear; some factors are bullish while others are uncertain, particularly effect of the drought on employment and spending. GM handling this depression better than previous 1920-21 depression. While sales patterns leading up to depressions were remarkably similar, in 1920 GM was already raising money heavily from banks and security markets, and inventory continued to increase until depression was acute. In 1929, GM was much quicker to adjust; inventories started to decline by Sept. 1929, and cash increased over $30M to $187.7M. It looks like GM won't need to make the large writeoffs of inventory that caused its only annual loss in 1921. While it's too early to say what the full effect of the depression will be on GM, the first-half results in 1930 vs. 1929 are relatively better than those in 1921 vs. 1920 (unit sales down 34% in 1930 vs. 62% in 1921); second half of 1921 saw a sharp pickup in business. B.F. Goodrich suspending $4 annual dividend taken as indicating second-half earnings recovery unlikely. Stock has declined from over 80 in 1929 to 22 1/2. Goodyear maintained dividend although earnings were down over 50%. New Canadian tariff policy expected to benefit textiles, coal, steel industries. Net debt of Canada as of March 31 was $2.178B vs. $2.226B previous year. Canadian business seen down moderately in June, somewhat below usual seasonal slackness. Mexico Pres. Rubio orders companies that laid off miners at Pachuca (world's largest silver mining camp) to rehire them until an arbiter can decide on extent of layoffs. Follows killing of prominent Labor party member A. Gomiciaga while trying to mediate between labor and employers. Agricuture Dept. Aug 1 corn crop forecast 2.212B bushels vs. 2.802B July 1; wheat 821M bushels vs. 807M. Cotton estimated 14.362M bales, vs. 14.828M produced last year. Substantial changes still possible based on weather conditions over near future. Demand for farm labor Aug. 1 was 16% below a year ago. Airmail handled in July was 695,627 pounds, up 12,967 from June. 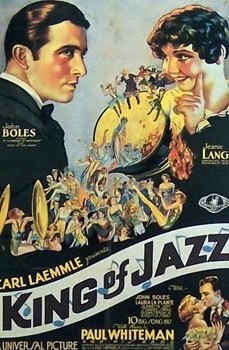 Exports of sound and silent films for first half were 144.933M linear feet vs. 121.810M in 1929. Boot and shoe production in June was 23.825M pairs, down 2.8% from May and 15.3% from June 1929. First half was 158.4M, down 8.2% from 1929. Worldwide production of Ford cars and trucks was 133,305 in July vs. 174,528 in June and 196,505 in July 1929. US production 116,805 vs. 180,804. New RCA Radiola 86 with built-in recorder “operates so simply that a child can do the trick.” Sells for $285, not including radiotron tubes; Records on to 6 inch 78 rpm cellulose records, capacity about 70 seconds (more on early radio recordings). Charles Lindbergh predicts regular overseas plane traffic within next few years. Calls for uniform flying regulations around the world. King Feisal of Iraq arrives in Berlin to negotiate for equipment to help open Mosul oilfields and construct 700 mile pipeline to Mediterranean through Syria. Fed. Reserve committee “analyzing causes of numerous bank failures in recent years,” to develop new national policy on branch banking. Editorial: Senator Fess, Pres. Hoover's new choice for Republican Nat. Committee chair, seems out of touch with true foreign feeling about the tariff; his attribution of most opposition to domestic politics and denial of foreign retaliation is frankly ridiculous. E.B. Reeser, Pres. American Petroleum Inst., “adduces statistics to show that profits to oil companies have not been exorbitant.” Points to high level of investment required, says return on net worth for 1913-1925 only averaged 11.5%. Bears encouraged by reappearance of liquidation, indicated by higher volume on Friday selloff, and by break through recent resistance level about 230; taken to indicate no further technical support until June lows about 210. Bears pressed further attacks early, leading to substantial declines in majors and trading favorites. Selling lightened in final hour and some recovery took place. Close irregular. Bonds mixed; lower grade declined, prime issues stronger, govts. active, firm. Continued bond market strength considered bullish for stocks. Some July bullish operators remain positive in spite of Friday's break blamed on drought effects; analogy seen to 1921 which had similar June selloff, weak July rally, and August break; this laid the ground for the great 1920's bull market. A. Legge, Farm Board chair, says “bottom of the trough” reached in depression, predicts gradual rise to normal conditions. German Chancellor Bruening predicts continuation of world depression in near future, emphasizes need for business to adjust to low price levels. Stock price changes in past week: American Can, 116 5/8, down 13; GM 43 1/2, down 2 3/4; US Steel 159 1/2, down 6 3/4; Vanadium 82 3/4, down 15 7/8. General rail earnings outlook considered poor; loadings for week ended July 26 were down 16.6% from 1929, worst decline this year; this rate of decline is expected to last at least through Sept. Drought and rate reduction on grain also causing uncertainty. Total money in circulation July 31 was $4.427B, or $36.48 per capita, vs. $4.522B on June 30. Production of women's stockings to decline about 4M dozen pairs from record output of 24M dozen in 1929; first decline since 1923. Production of knitted outerwear estimated down 15% in first half. Companies with decent earnings: Spalding (helped by “Tom Thumb” miniature golf craze), George W. Helme (snuff tobacco). Westchester County Publishers news wire makes first practical use of teletypesetter to set type by telegraph. Post office issues ruling prohibiting parcels marked 'Eggs' unless they contain eggs; too many using that mark to assure careful handling of fragile packages. Commodities mixed after big Friday break; wheat down slightly, corn steady, cotton closed up slightly. Market considered to have run through typical complete bear cycle, including severe break; technical recovery; secondary break; dull trading period. Good recovery usually follows, although observers unsure if it will come shortly or be delayed for some time. Henry Ford sees no reason for objection if Canada raises tariff rates. Editorial: plan by New York and Montreal bankers to help Cuban sugar growers can't be said to have bright prospects, considering fate of previous plans to stabilize rubber (Stevenson scheme), coffee (Brazil valorization), wheat (Farm Board), and lack of success of the copper and steel cartels. However, they are at least not soliciting the help of any government's aid. Their efforts are justified considering desperate state of Cuban sugar growers. Baar, Cohen, & Co. predict switch in market leadership in 1931 from current leaders GE, Westinghouse, Vanadium. Suggests concentrating on earnings, recommends well-managed companies in automotive, airplane, tobacco industries. Total security loans down $133M in July to $9.692B, lowest figure since end of Sept, 1928, and 3.513B below Sept. 1929 peak. Unemployed in Australia 180,000, or 10% of number employed last year. About half of the population over 60 living on government charity. Italy protests new Spanish tariffs; “disinterested financiers” present figures showing tariffs will damage Italy more than US. ICC orders railroads to reduce rates on livestock, feed, and water to help drought-stricken areas. World nitrate producers agree on stabilization plan; terms not disclosed. American tourist expenditures in France in 1929 were $130M, down 20% from 1928; further 20% drop estimated for this year. Railroad Commission announces plan to curtail Texas oil production by 75,000 barrels/day to reduce overproduction; Gulf Coast, Laredo areas protest. International Harvester reduces Farmall tractor price to $825 from $875, other makes by $40 to $75. Other manufacturers haven't matched cuts yet. Youngstown steel district operations at 56.5% of capacity vs 58.5% last week. New Jersey Central and Chesapeake & Ohio railroads report income down from 1929, but expect future improvement from sharp expense cuts. Rail freight cars ordered in July were 1,306 vs. 794 in June and 242 in July 1929. No Journal was published Sunday, August 10, 1930. Once again, a collection of my favorite items of the week. These aren't a representative selection but just the ones that made me smile or take notice. [Note: Sheer genius dept. #1] Sanitary single-use lipsticks now available, coming in a small matchbook-like container. [Note: Sheer genius dept. #2] Reports that leading cigarette companies will introduce “matchless” cigarettes, to be lit by striking on side of box. [Note: Strangely familiar dept.] Editorial: Germany, Britain, and the US are finding that “rationalization” (automation) “sets much labor free - free, that is, to hunt a job.” While some economists believe rationalization is in the long run good for labor, in the short run it creates overcapacity, reduced requirement for workers, and the need to keep volume production going because of high capital investment and overhead. However, this has been going on for a long time (Francis Walker described the problem 50 years ago), so history suggests the problem will work itself out. [Note: Hopefully not soon to be strangely familiar dept.] Miami joins 45 other Florida municipalities in default on bonds, including St. Petersburg, Ft. Lauderdale, West Palm Beach, Sarasota. Florida credit has declined so far that no municipal bonds have active markets. Problems include real estate bust starting in 1925, subsequent hurricanes, Mediterranean fruit fly invasion of 1929, and bank failures over past 2 years. [Note: Always keep your eye on the freight car loadings.] Decline of 16.6% in freight car loadings for week ended July 26 was largest so far in 1930. [Note: Sorry for the spoiler, but I think this guy might be planning to run for something.] NY Gov. Roosevelt adopts "dripping wet" (anti-Prohibition) plank for reelection campaign, following conference with 4-time former Gov. Al E. Smith [Dem. Pres. candidate in 1928, first major-party Roman Catholic candidate]. [Note: Check out the newsreel of this - a strange and remarkable plane.] Dornier DO-X flying boat, the world's largest plane [157' wingspan, 134' long, 33' high, 12 engines, over 100 passengers, roughly same size as Boeing 707, see newsreel on webpage right], has made first flight on Lake Constance. [Note: Strangely familiar dept.] Chairman G. Woodruff of Nat'l Bank of the Republic in article "Green Lights Ahead" predicts second-half recovery in business. "The red lights, through which our people last year drove, have changed. The curbstone admonitions of the minions of the economic law near an end." [Note: Just like TIVO, except works only with radio, costs about $4000 in current dollars, and has 70-second capacity.] RCA-Victor exhibiting new radio models to retail for $110 to $285. More expensive models will come with recorder able to permanently record radio programs. [Note: I swear I saw this in a James Bond movie.] Navy awards contract to Loening Aeronautics of New York for seaplane with folding wings to be used on submarines. Contract price is $49,500. [Note: Strangely familiar dept.] President Hoover calls for White House conference and commission to study ways of improving credit situation for homebuilding and financing. [Note: Hmm ... they seem to have done OK.] Companies aggressively spending on advertising include American Tobacco, R.J. Reynolds, Coca Cola, National Biscuit, Procter & Gamble, Wrigley.